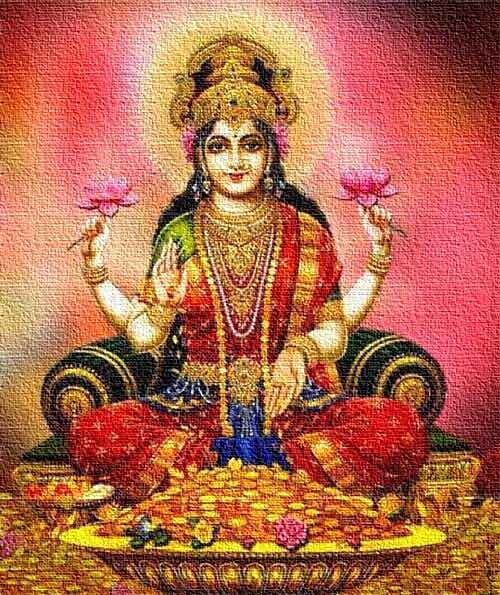 Goddess Lakshmi Food - Which Food Should Be Offered to Goddess Lakshmi as Bhog or Prasad? Each Hindu God and Goddesses like a particular kind of food. Devotees offer that particular food as Bhog, or Prasad, to get the blessing of the deity. So which food should be offered to Goddess Lakshmi as Bhog or Prasad? Yellow Color Food like chana dal mixed with jaggery. A person seeking the blessing of Goddess Laxmi should offer food made using rice. The best offering is Kheer (rice, sugar, and milk), or payasam (rice mixed with jaggery). Yellow color food is also offered to the Goddess. Chana dal mixed jaggery is offered in some regions. Kesar (saffron) is another food item that is auspicious. Fruits that can be offered include banana and other yellow color fruits. The food should be offered during morning or evening puja and should be taken away when the puja is completed. It should be then distributed as Prasad among family members, relatives, friends, and neighbors. It is believed that those people who make food made of rice to Goddess Lakshmi will always be blessed with wealth and prosperity. Tulsi Leaves are not offered to Ganesha? In majority of the regions, Tulsi leaves are not offered to Ganesha. But in some regions Tulsi is offered during Ganesh Chaturthi Puja. The meaning and symbolism is not associated with any holy book in Hinduism. It is more related to Vastu Shastra.